Remember that rainbow shaped fruit salad I shared for St. Patrick’s Day? 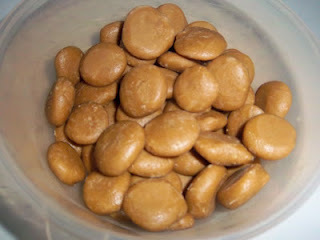 How about using these Sunbutter Sunny Buttons at Jazzy Allergy Recipes as the gold? Thanks for the idea Cyble Pascal! Click here to see more Fun With Food!